If you were unable to watch Dr. Andrew Cook’s free webinar from October 25, 2016, it’s now online! A HUGE thank you to Dr. Andrew Cook, the Vital Health Institute, and the Riverside Medical Clinic Charitable Foundation for doing this!!!! Melinda lives in Guyana in South America and was 35-years-old when she was diagnosed with Endometriosis. Now 40, she has started an Endometriosis Support Group in her country. May she bring the government, the women, and the medical professionals together to raise Endo awareness and improve healthcare for the Guyanese citizens! Let me begin by thanking Lisa Drayton from Bloomin’ Uterus for giving me that little nudge I needed to start this Endo conversation in Guyana. My journey with Endometriosis has been a long and very painful one. During the latter half of my teens I started having severe pains, heavy bleeding, bloating, lower back pain and constipation during my menstrual cycle. The pain was so intense I would sometimes faint. My teacher/ parents would rush me to the Hospital/clinic and after what seemed like a barrage of tests/ ultrasounds, prescription pain killers and Iron supplements would be sent home with the hope that this would be my final trip with this recurring complaint and somehow the meds would actually help. I was even placed on contraceptives which helped a little. 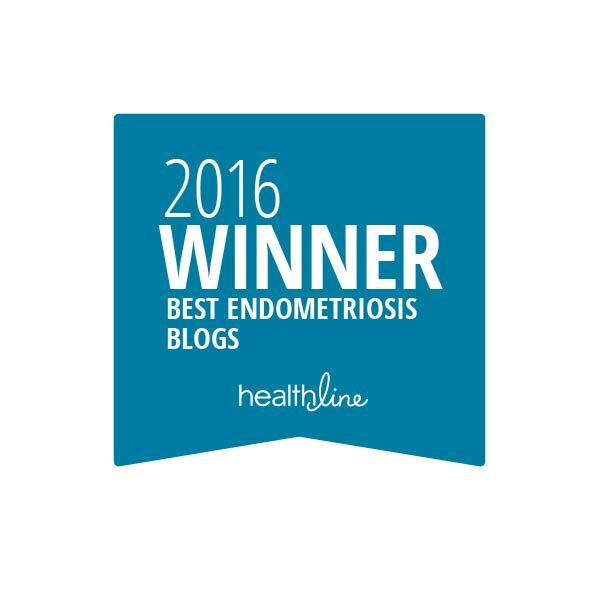 Strange enough not one of the numerous GPs or Obs/Gyns I visited suggested Endometriosis. In retrospect I feel my symptoms were classic text book case for an early Endo diagnosis. It was even suggested during one of my visits that once I conceived these painful episodes would disappear. Well! It didn’t. At 25 yrs I had my first child and guess what? All the symptoms returned with my period. By this time I was downright fed up. I was being robbed of a good quality of life and no one knew the reason. I gained a considerable amount of weight even though I was eating a balanced diet and exercising regularly. I couldn’t understand it. I stopped visiting the Doctors. While most of the symptoms remained the fainting disappeared. I developed coping mechanisms. At 35 yrs old I gave birth to my second child by CS. Again, the symptoms returned. Four years after, my period started running for nine days instead of the usual five for three consecutive months with heavy bleeding. I became weak and anemic so I finally decided to visit my doctor. She recommended an ultrasound which revealed I had severe scarring and two ovarian cysts. One was large enough to necessitate surgical intervention. During surgery it was discovered I had Endometriosis so my doctor removed the offending tissues ( simply put). I was away from work for three months and those were three wonderful months. No pains, no constipation, no back pains, no nausea, and no bloating during my periods. My Ob/Gyn advised this would be temporary. In addition to the fact that my chances of conceiving again are very slim to nil. It felt good to be free of the pain. Then ……….. ( I wish I could say it was happily ever after); the symptoms returned increasing in intensity as the months progressed. My Dr prescribed meds which are not available locally . I was able to access them for what seemed like a small fortune. Nine months later they seem not to be helping. The pain continues. The bloating continues. The heavy bleeding continues. My Endo journey continues. Words of Advice for Us: Keep the faith. Keep the conversations going! As long as we have life; we have hope. I want to send a special Thank You out to Melinda for being brave enough to share her personal story, struggle, and victories with us today. I am sorry to hear your pain continues, but as you said, “Keep the faith.” AND thank you for creating the EndoCare Guyana Endometriosis support group! Wishing you Sisters the best!! You are a beautiful, brave, and strong woman. Thank you!!! Recently I wrote about Guyana’s treatment of Endometriosis. I didn’t learn a whole lot about the care offered in their country, but did learn that their healthcare system is in need of repair, and the government and international aid organizations are striving to offer better care for the citizens of the country. If you live in Guyana and suffer from Endometriosis, or think you may, or have questions about the illness and need to know what to do or who to see, please join the group. Ask questions. 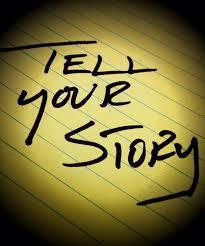 Share stories and experiences. Talk about what works, or doesn’t work, to control your symptoms. Arrange meetings in person with each other. Hugging and laughing and crying with women who know what you’re going through is so therapeutic! The women of Guyana may not have the best medical care available, especially when it comes to this illness, but they have each other. And it’s a great step. May the EndoSisters of Guyana unite! May they raise awareness of this horrible disease in their country. And may the press their government officials, hospitals, and physicians to give this disease the recognition and priority it deserves. Thank you, Melinda, for caring enough to reach out to others. And thank you, Guyanese women, for reach out to each other. Parabens are chemicals used as preservatives in consumer products. If you happen to suffer from Endometriosis, or any other estrogen-driven condition (like breast cancer), please be aware that parabens mimic estrogen. Just like soy. Just like flax. Parabens are an “endocrine disruptor,” which alters our body’s hormone levels. They’ve been found to play a role in breast cancer cell growth, too. These chemicals are absorbed through our skin and what we eat and drink. Studies have shown, though, that parabens are absorbed more by the body through the skin than if you were to consume them. Read the labels. If the ingredients identify “paraben” in the word, you’ve found it: Ethylparaben, Butylparaben, Benzylparaben, Methylparaben and Propylparaben. Many products are now labeled Paraben-Free, so all you have to do is read to be a little extra cautious. A 2016 study identified that 80% of personal care products contain parabens and that they (and endocrine disrupting hormones) affect women’s health. Products that may contain parabens include: antacids, anti-aging creams, conditioner, creams, deodorant, face masks, hair gel, lip balm, lipstick, lotions, make-up, mentholated rubs, pharmaceuticals, shampoo, shaving gel soap, suppositories, some pre-packaged food (dairy, fish, ketchup, mayonnaise, oils, pickles, and poultry, just to name a few), and toothpaste. The possibilities are endless. EWG’s Skin Deep has a cosmetic’s database and identifies products which ingredients contain parabens. (Warning : you’ll be sifting through a lot of information). It also has a search feature so you can look for the products you use, examine the ingredients, and get some feedback on how safe this organization (Skin Deep) thinks it is for you. I looked up my facial cleansing regimen (Andalou Natural 1,000 Roses cleansing foam, day cream, exfoliator, facial serum, mask, night cream, and toner) and am happy to report no parabens…however, I do need to take the time to research the other unpronounceable ingredients. How Can You Test Your Paraben Levels? Yep! You sure can. Talk to your physician to see if it’s a test they can order for you. Your insurance company may, or may not, cover the costs. You fast for eight hours and pee in a little cup. The test results are usually available within 10-14 days. You can view a sample test report by Genova Diagnostics. Many companies offer a paraben test. Some companies send you to a clinic to provide your sample, while others offer an in-home test kit that you return via mail. A study published in 2016 found that 100 adolescent girls who stopped using personal care products which contained parabens (and switched to “paraben-free” labeled products) for three days showed a decrease in certain parabens and endocrine-disruptor chemicals of 25-47%. After just three days! If I’ve learned to avoid soy and flax from my diet, I may as well learn to avoid parabens. 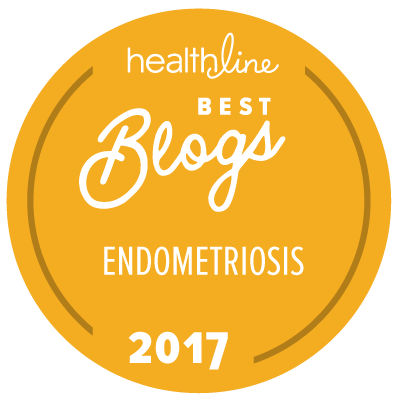 Why take the chance of worsening my Endometriosis, if I can try my best to help it? Try is the key word…and because I’m going to try, I’m not going to beat myself up if I can’t from time to time. I know a healthier lifestyle is expensive…and alternatives can be hard to come by within budget. BUT at least I can do my best to stay away from them as often as I can. AND when I see my physician next year, I’ll ask them to see if they can run this urine test with my annual lab work. Quite curious if insurance will cover it. I’m also learning to avoid endocrine disruptors as much as possible, like in our antibacterial soaps that the FDA recently ordered banned…learning ALL THE THINGS! Some of you may have read my blog entry about tampons and dioxins (if you haven’t, you can here), which struck up a conversation with one of my friends : what about rayon in clothes? So, while I began my research I decided to do something different. Rather than write a blog about rayon and the possible exposure to chemicals and dioxin, I decided to just share the links with you. There are many! If you’re worried about over-exposure to chemicals, toxins, or dioxins with your food and household products, what about your clothing? It’s on you all day, and up against your skin – soaking in all things!! Is there merit behind these articles? That’s your question to answer…Happy reading! Good morning! And happy Friday!!! Audre’s words ring true for SO many issues in life. Talk about things: with your friends, your family, your physicians, strangers – bridge those gaps. You have no idea what similarities you share or what insights you may provide. To any of my EndoSisters, or friends/family who want to learn about Endometriosis, please sign up for this FREE webinar hosted by the Endometriosis Family Support Group via RMC Charitable Foundation. It will take place on Tuesday, October 25, 2016, at 7:00pm Pacific Standard Time. Dr. Andrew Cook is considered one of the few “excision experts” in California, his office staff are absolutely incredible to talk to, and the Vital Health Institute has been so supportive for our blog’s library. You *must* email Erin@RMCcharity.org in order to get the webinar information and to register for the event. I know what I’ll be doing next Tuesday evening!